Earlier this week an amazing tale came to light about a British Army officer who had been captured during World War One and who learnt that his mother was dying and so was granted the freedom to return home on the condition that he returned back to the POW camp. As the 100th anniversary of WW1 comes ever closer, there will be no doubt a huge number of war related stories, both tragic and uplifting. It is often said that WW1 was the dawn of modern warfare though some elements can be seen in the American Civil War and even in the The Crimean War. However in truth the suffering of those in the trenches probably surpasses all before and since as the old-fashioned moralities and traditions of war came up against mechanised horrors of machine guns, tanks and poison gas. That said it was still the era of honour and especially in the British army, of fair play. The ordinary Tommies and Jerries on both sides weren’t too different from each other and though they were forced to fight each other, there was none of the ideology that led to the inhuman actions of fascist Germans, Italians and Communist Russians in WW2. A good example of this are the Christmas Day football matches and also that of The Red Baron to my own relation here. A new and startling example of this has been unearthed by historian Richard Van Emden in the shape of Captain Robert Campbell who at the age of 29 took honesty and honour to new heights. 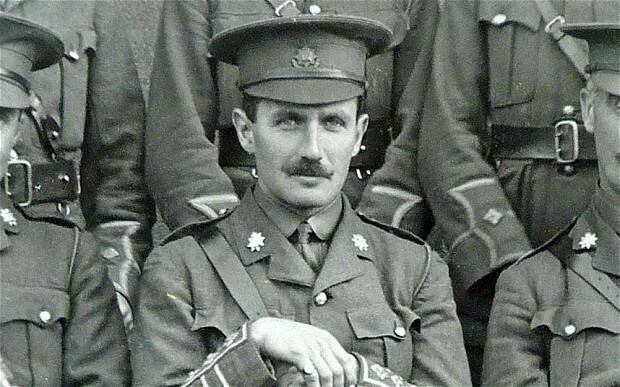 Captain Campbell had been leading the 1st Battalion East Surrey Regiment when he was severely injured and then captured during the Battle of Mons in France in August 1914, just weeks after the war began. After his capture he had spent two years as a prisoner of the Germans in the Magdeburg Prisoner of War Camp when he learned that his mother, Louise Campbell was suffering from advanced cancer and close to death. 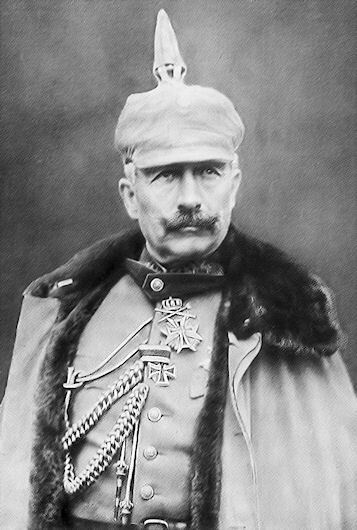 Wanting to see his mother one last time having not seen her for years, Captain Campbell wrote a letter to Kaiser Wilhelm II and begged that he be allowed home to visit her one final time. Amazingly, the German king granted his request, allowing him two weeks leave, including two days travelling each way by boat and train, as long as he returned. The only reason for him to return would be his good name and his “word” as a British Army officer. Captain Campbell accepted and he returned to his family home in the town of Gravesend in Kent, England in December 1916 and managed to spend some vital time with his mother before he returned back to Germany where he was held until the end of the war in 1918. There was no pressure on him to return, nothing would be done to any of his imprisoned colleagues were he to stay in England but his honour as an officer ensured he gave up his freedom and voluntarily returned to a difficult and uncertain life as a POW to make sure that he kept his promise. 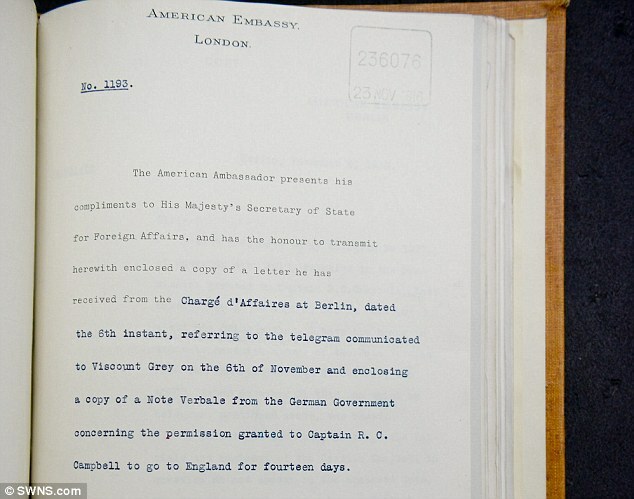 Just as incredibly is the fact that the British Army let a young officer freely return to Germany when it could very easily have ordered him to stay or at least go back to France and continue fighting. At the end of the war Captain Campbell was freed and he returned home eventually retiring from the military in 1925. When war returned in the shape of WW1 he rejoined in 1939 and took up the role of Chief Observer of the Royal Observer Corps on the Isle of Wight (a large island off the south coast of England) for the duration of the Second World War. Happily he survived the second war as well and lived out his life until his death in July 1966 at the age of 81. The event also shows the Kaisers love-hate relationship he had with Great Britain. He was a grandson of Queen Victoria but was frustrated that he was never fully accepted by the establishment. He then began to take a great dislike to his relations in the British royal family and wanted Germany to become in many ways, more British than the British. Most of all he wanted an Empire but sadly for him, Germany only became a unified modern nation in the second half of the 19th Century and by then there was no room for new empires to appear. His admiration of the Royal Navy led him to build his own huge Imperial German Fleet albeit one that was largely destroyed in the North Sea Battle of Jutland. He even encouraged the German upper classes to take part in British pursuits such as Polo and Cricket. Perhaps this extreme example of compassionate leave to Captain Campbell is an example of this total embrace of good-manners. The final emperor of Germany who was forced to abdicate in 1918. One of his successors, a certain Adolf Hitler, also came across the game of Cricket and found it to be far too English. He decided that fair play and chivalry was not very German and neither were the protective pads that batsmen wore. Though Hitler liked the British too, he was on the look out for sports to toughen up the Germans ready for the wars ahead that he was plotting years before they occurred. Instead he looked into creating a more war-like version of the game with bigger and harder balls, possibly to be made out of steel. The differences between The Kaiser and The Führer in Cricket probably goes a long way to show their different attitudes in war too. Either way, it is hard to imagine anyone anywhere doing what Captain Campbell did all those years ago. This entry was posted in history, writing, WW1 and tagged chivalry, Culture, history, Life, nostalgia, POW, prisoner, Red Baron, war, world war, WW1. Bookmark the permalink. Might this story be of interest? Thanks! That’s very interesting. I actually went to Auschwitz 3 or 4 years and will always remember it. I have never been there physically myself. Have seen some video documentaries though, including one on the Purple Triangles that ran on TV some time ago. It is isn’t it. I can’t machine a prisoner being released for these reasons at all today, let alone for them to return to being a prisoner voluntarily. A sense of honour and fairplay even between enemies yes, but soldiers treated in an awful way by the chain of command, including execution for retreating and amateur war tactics costing millions of lives. It is hard to romanticise too much about WWI. it may be fairly easy for find which countries were the belligerents, but I am glad I was not a soldier in those times in British military colours: they committed war crimes against their own men. It may be that we see no more wars in Europe. But we are a continent of war like no other. I do feel an overwhelming sense of tragedy about this, and your tale might also be classified as part of the utter, desolate farce of war. 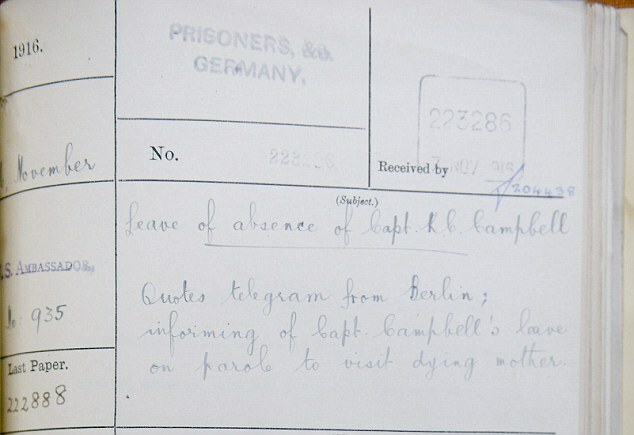 I read that Robert Campbell attempted several escape attempts from his prisoner of war camp upon his voluntary return, which only underlies his honourable attitude in carrying out his duty to the letter. I wonder how many hidden tales there are from that war, as with many. How many stories we will never know. I loved your article, Steve. Very interesting. I wasn’t aware the Kaiser was the grandson of Queen V.
Thank you. Yes most of European royalty is now in some way related to Queen Victoria. The English princess who went to Germany and married into their family I believe was shunned by German nobility and died there after a very short period. Again, Stephen you are on a roll! I loved this post. It gave me goosebumps throughout the entire article. History was always a fascination of mine and you have been happily supplying me with some wonderful knowledge. Thank you! I am so glad you enjoyed it. I am on a belated weeks holiday in the country and have lots of historical places lined up and little tea and cake shops too!! I can never be sure of how much history I should do on my blog but this story was too good to miss. Hope you have a lovely Sunday! I’m glad you liked it. Thanks for comment as always!